Leah Durant was cleaning the unfinished basement of her home in Falls Church, Virginia, one day in October 2010 when she scraped her hand on a rusty nail. Americans receive millions of doses of the flu vaccine every year. Many millions of other vaccines are also administered to adults and children including vaccines that protect from diseases such as tetanus, mumps, measles, rubella, diphtheria, polio, HPV, Hepatitis A, Hepatitis B, varicella, pneumonia, and many more. While the majority of vaccines are safe, a small percentage of people are injured by vaccines every year. Every year, millions of Americans ward off sickness and disease by receiving the flu vaccine. In rare cases, however, some individuals can experience adverse reactions or injury that results from vaccination. Government attorneys are attempting to block compensation benefits to individuals who developed narcolepsy as a result of a defective swine flu vaccine. The vaccine was administered to millions of people in Europe and the UK before being taken off the market. Not all vaccine injuries are from the vaccine itself. Since 2011, the government has paid about $18 million to 112 victims of "SIRVA," or "shoulder injury related to vaccine administration." Such claims are settled by The National Vaccine Injury Compensation Program (VICP). A government fund set up to pay individuals injured by vaccinations recently awarded over $2.5 million to three individuals who claimed damages from flu shots. The injuries were caused not by the vaccine, but by the administration of the shots. After the devastating Ebola outbreak of 2014, researchers across the globe set out to develop a vaccination that could stop the spread of the deadly virus. One, which is currently being studied and developed by pharmaceutical giant Merck, shows a great deal of promise after a successful trial in Guinea between April and July. Mother of young girl severely injured by HPV vaccine, Gardasil, is facing an uphill battle in receiving compensation. Researchers are working toward a vaccine for hypertension that might have patients receiving a shot every six months rather than taking daily medication. Microneedle technology allows vaccines to be administered by small, stick-on patches. Scientists are hoping the patches can also be developed for other diseases. The measles outbreak that began at Disneyland spread because people were not vaccinated, according to a research study published in a pediatric medical journal. While the flu vaccine is pushed, even after side effects have become well known, it seems that it might be an unnecessary risk after all. The flu vaccine has been little help preventing new cases of the common illness this year. As health officials have completed the first phase of testing on the Ebola vaccine the President is asking for more funding to aid in the response to the epidemic. A new machine called a jet injector will deliver the flu vaccine without the use of a needle. This may increase or decrease needle related vaccine injuries. Friday, Oct. 31, 2014 - Sunday, Nov. 2, 2014 Come learn everything you need to know about GBS, CIDP and MMN from diagnosis to treatment. 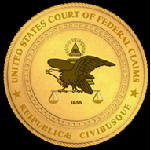 The 27th Annual U.S. Court of Federal Claims Judicial Conference will take place on Monday, November 17, 2014. With all of the options available for receiving the flu vaccine this year, you would be best served to investigate the possible side effects associated with each before making a decision. A CDC whistleblower, Dr. William Thompson, is claiming that the agency covered up the connection between autism and the Measles-Mumps-Rubella vaccine in boys. The US Court of Federal Claims has decided that one petitioner is entitled to compensation of $35,000 for SIRVA injuries related to the flu vaccine. All nasal spray vaccines for the 2013-14 season will provide protection against four flu viruses: an influenza A (H1N1) virus, an influenza A (H3N2) virus and two influenza B viruses. Since mid-2006, the Advisory Committee on Immunization Practices (ACIP) has recommended routine vaccination of adolescent girls at ages 11 or 12 years with 3 doses of human papillomavirus (HPV) vaccine (1). Two HPV vaccines are currently available in the United States. Both the quadrivalent (HPV4) and bivalent (HPV2) vaccines protect against HPV types 16 and 18, which cause 70% of cervical cancers and the majority of other HPV-associated cancers; HPV4 also protects against HPV types 6 and 11, which cause 90% of genital warts. * This report summarizes national HPV vaccination coverage levels among adolescent girls aged 13–17 years† from the 2007–2012 National Immunization Survey-Teen (NIS-Teen) and national postlicensure vaccine safety monitoring. Thousands of Hartford HealthCare Medical Group patients might need new vaccinations after doses were apparently stored at the wrong temperature since Jan. 2, 2013, according to a statement from the medical group. The vaccines include those for influenza, pneumonia, tetanus and more. As a result of the flu vaccine, Sarah Behie was diagnosed with Guillain-Barre' Syndrome and is now paralyzed. She recently received $11.6 million as a settlement for her claim from the National Vaccine Injury Compensation Program.